It was 73 years ago last month, on 17th February 1945, that the leaders of Great Britain and Saudi Arabia first met face-to-face. Winston Churchill was just concluding his stewardship of the allied victory in World War II, while King Abdul Aziz could savour his equally historic unification of the warring tribes of the Arabian Peninsula. The creator of modern Saudi Arabia, often better known in the West as ‘Ibn Saud’, was the grandfather of the Kingdom’s current ‘de facto’ ruler, Crown Prince Muhammad bin Salman, familiarly known as ‘MbS’, who arrives in Britain today [Wednesday 7 March 2018]. Let us hope that Theresa May is equally forthright in setting out Britain’s cultural differences with the Crown Prince today, emphasizing this country’s belief in liberty of speech, freedom from arbitrary arrest, the independent rule of law, and the sacred principle that political leaders – be they monarchs or prime ministers – are not the masters, but merely servants of the people. These are principles for which the 32-year-old Crown Prince has yet to show much enthusiasm. There are several dozen intellectuals, religious scholars and journalists currently detained without trial in Saudi Arabia since last September – which is why MbS will meet the Queen today safely inside the battlements of Windsor. The shift of venue from Buckingham Palace was a ruse devised by the Foreign Office to protect him from exposure to street demonstrations. Churchill went on, in those pre-Israel years, to urge the staunchly anti-Zionist Saudi king to help ease the general Arab welcome to the Jews in Palestine. Britain had subsidized the Saudi monarchy for twenty years before its discovery of oil, argued the Prime Minister, so a gesture towards the Jewish homeland was the least Saudi could offer to repay the debt. This was a crude wielding of the British ‘big stick’, in the opinion of Abdul Aziz, when he later reported the discussion to the American minister in Jeddah. Might Theresa May try such tough tactics in Windsor today when she is seeking to persuade MbS to list or co-list his £1.5 trillion flotation of Aramco shares through London next year – or dare to enquire of the Crown Prince if he has secured his people’s approval for this massive sale of national assets? It does not seem likely. There are few big sticks left in the British armoury these days. So, if the prime minister proves no Churchill, what are the ways in which the young Prince Muhammad might measure up to the history-making exploits and character of his famous grandfather? Visitors to modern Riyadh can visit the spot where Abdul Aziz began his conquest of Arabia in January 1902 – the venerable dried-mud Mismak fortress that was the head-quarters of the Al-Saud’s bitter enemies, the Rasheed clan. You can place your hand on the gnarled wooden door through which the Rasheed governor emerged that crisp winter morning, to be rushed, overpowered, and slain by the 27-year-old Saudi leader and his handful of followers in hand-to-hand conflict on the beaten mud that still underpins the glowing neon of Riyadh’s DVD and quartz watch souq. Ibn Saud’s charismatic example has provided his country with a muscular and decisive founding father, and there are many ways in which his grandson has lived up to that. MbS has wasted no time deliberating like his predecessors over such issues as the need for women to drive, or the urgency of curbing Islamic extremism and the hated Religious Police. He has just got on with it, in a whirlwind of decrees and government shake-ups. Cinemas and entertainment centers will open their doors all over the Kingdom in the coming months, and when it came to business corruption, the young man wasted no time locking up more than 300 over-wealthy suspects – albeit in Riyadh’s Ritz Carlton Hotel, rather than the Mismak Fortress. As a consequence, the young Crown Prince is immensely popular with many young Saudis – and with women of all ages. ‘His uncles all /spoke/ about reforms,’ they say. ‘He has actually made things better for us.’ They recall how Abdul Aziz’s closest advisor of all was his sister Nura – Riyadh’s first telephone line in the 1930s was run from the royal palace to her house. But for all his get-up-and-go decisiveness, the great Abdul Aziz spent many hours every week sitting with his advisers, foreign visitors, tribal leaders and ordinary members of the public, listening to their ideas and grievances in his council known as the majlis. ‘We have a popular saying,’ declared the king in January 1925 when he occupied the holy city of Mecca. ‘The people of Mecca know best about Mecca’s mountain passes’. Then he promptly set up a local majlis al-shura – a ‘sitting place for consultation’ – where local people could organize matters like pilgrim transport and city governance, along the lines of a similar consultative council in Riyadh. Today there exists such a national body, the Consultative Assembly of Saudi Arabia, set up by King Fahad in the 1990s, consisting of 150 members, some of them women, all nominated by the King. It is an embryo Saudi parliament, and King Abdullah, the predecessor of MbS’s father, King Salman, made muffled noises about opening a percentage of seats to popular election. That talk has stopped abruptly with the advent of the Crown Prince, whose fierce and headstrong style both at home and abroad in his dealings with countries like Qatar, Syria, Lebanon and, most tragically of all, Yemen, defies all awareness of popular consultation. Britain bears its own responsibility for the 13,000 people that have been killed in in Yemen since 2015, both as the legacy of our own ‘master-planning’ of the Middle East a century ago, and through our current supplying of lethal weaponry to the Saudi-backed coalition that is fighting the Iranian-backed Houthi rebels. 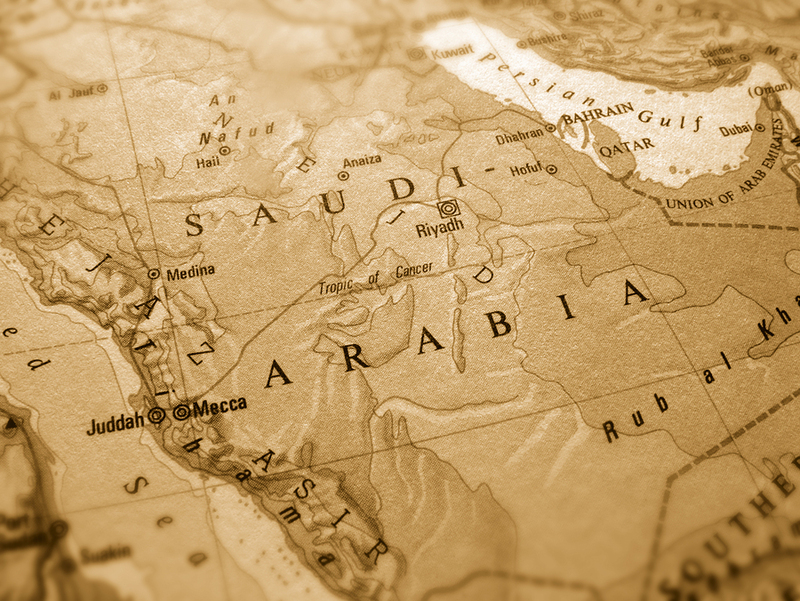 Away from Yemen, MbS has rowed back strongly from the Kingdom’s previous support of Islamic extremism, so perhaps Mrs. May can find common ground for Britain to try a little regional peace-making – though not, nowadays, in Palestine. That is an issue the Crown Prince will be addressing when he travels on to Washington. We should give praise where praise is due to the domestic reform programme of Crown Prince Mohammed bin Salman. But let us note, at the same time, that this brash young innovator has neither encouraged nor permitted any popular debate in Saudi Arabia about the nature of his changes. He appears to be moving the Kingdom from old-time religious extremism to his own ‘You-must-accept-my-reform’ extremism, without any consultation – accompanied by arrests and the disappearance of his critics. So, does his programme lack the most important reform of all – democracy? The Crown Prince is proposing to impose Saudi Arabia’s first modern taxes as part of his economic strategy in the face of stagnant oil prices – a very brave and necessary move. But he seems oblivious to the need for any democracy to accompany that. ‘No taxation without representation’ is an inflexible lesson of history that Britain has learned the hard way, and Mrs. May would be doing her guest a great favour politely to remind him of it. Who knows, as the Crown Prince visits the Motherland of Parliaments, maybe some of the UK’s past – and some of his own – might just enter and even alter the game plan of Ibn Saud’s modern-day standard-bearer. Jamal Khashoggi was media adviser to the Saudi ambassador in the UK. Now self-exiled in the US, he writes for the Washington Post. Robert Lacey is the author of The Kingdom – Arabia and the House of Saud.